Tarra was born in Burma (now Myanmar) in 1974. At six months old, she was separated from her family and brought to the United States in a wooden crate via cargo plane. Tarra was sold to a tire salesman, who put her on exhibition at his store in southern California. Soon after, a local student, Carol Buckley, became Tarra’s caretaker. They spent the next two decades working together in circuses, amusement parks, zoos, on TV, and in movies. Tarra was known for roller skating and painting. 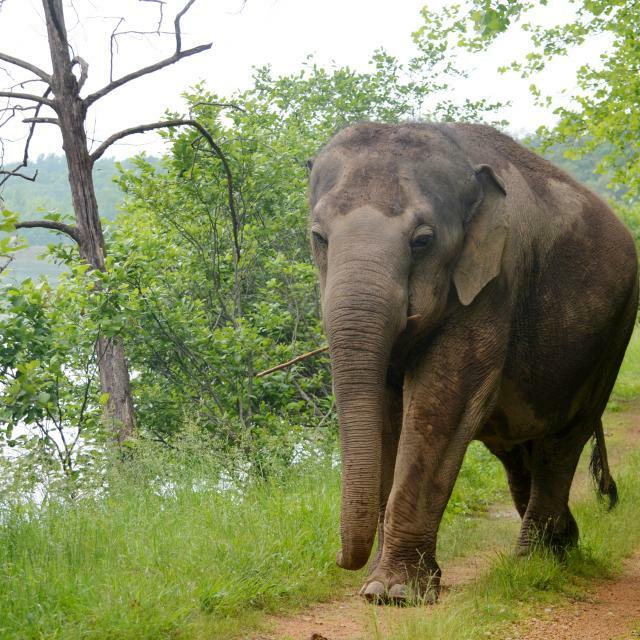 In 1995, Carol Buckley and Scott Blais founded The Elephant Sanctuary in Tennessee—Tarra was the first resident. In retirement, Tarra made new fans. The story and videos of her unlikely friendship with a stray dog named Bella at The Sanctuary warmed hearts the world over. The duo were near-constant companions for eight years, until Bella’s passing in 2011. Tarra has welcomed many of The Sanctuary’s newly retired elephants, trumpeting and spinning excitedly as the transport trailer arrived at the barn with a new resident. It is common to see Tarra traveling the far reaches of her habitat, including “Oak Tree Pasture,” “Turtle Pond,” and “Left Field.” EleCams have also captured Tarra wading around in the lake, sometimes stirring the water with one of many sticks that she carries with her during her travels. Tarra is easily distinguished from the other elephants by her very dark skin, her round figure, and a lot of hair on her head, chin, back, and tail. All of these physical traits are typical of elephants from her home-region. Tarra is also easily recognized by her unique "barking" vocalizations. Caregivers describe her as “curious,” always showing interest in what is happening around her. 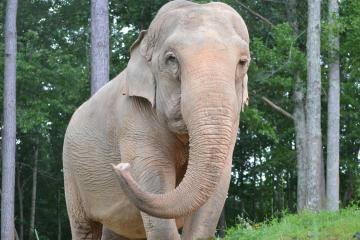 Tarra is one of the youngest Asian elephants at The Sanctuary and has been a resident more than half of her life. 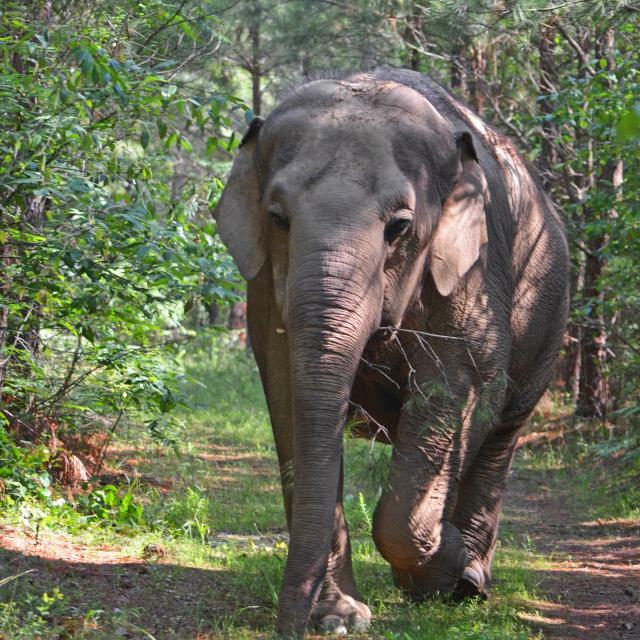 The Sanctuary Staff look forward to sharing updates about Tarra’s life at The Sanctuary for a very long time.